FBI crime data for Eagan indicates violent and property crimes rose sharply in 2017, with a fraction of crimes solved by police. The top lines of the graphs, in red, show the number of crimes reported. The lower lines, in blue, represent the city's crime clearance rates. EAGAN, MN – Sleep easy, Eagan Citizens, but make sure you lock the doors first. 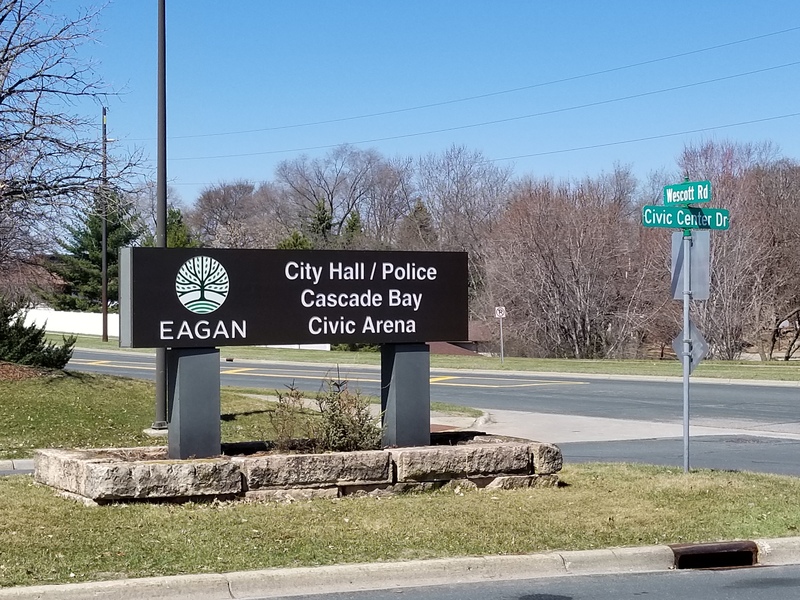 After the city’s previous police chief warned the city was being targeted by professional criminals from other states, prompting city officials to approve a tax hike to hire more police officers and a multi-million-dollar police department expansion, the city has announced Eagan is one of the safest cities in the nation. Citing a report from a website which recently published articles on how to buy the best slime for your children and joint supplements for your pets, the city has announced on its website that Eagan has been “declared the 26th safest city in the United States.” The rankings, according to explanations of the methodologies used, include data compiled before the end of 2017, which would not include Eagan’s most recent homicides. While Eagan might not have made the top 25 in the website review, the city is still taking the opportunity to boast. “It’s truly an honor to be recognized as one of the safest communities in the United States,” the city’s website quotes current police chief Roger New. FBI crime data, meanwhile, shows a substantial increase in the number of violent crimes reported in Eagan in 2017, the most recent year for which data was available. The clearance rates for Eagan -- the number of crimes solved, cleared by an arrest, or simply closed by police -- were a fraction of the number of crimes reported, according to the FBI data. Data from the Dakota County Attorney’s office indicate Eagan Police prosecuted fewer felons in 2018, but retained the second highest rate of criminal prosecutions in the county. Eagan prosecuted 260 adult felony cases in 2018, second in Dakota County only to Burnsville, with 343 adult felony prosecutions, according to the County Attorney’s office. Eagan was higher than Burnsville in prosecuting juveniles, according to the county. Eagan prosecuted 126 juveniles in 2018, one more than Burnsville. A sketch of the proposed Emagine entertainment complex to replace the current Regal Cinemas 16 at 2055 Cliff Road. The proposal, slated for review by Eagan's Advisory Planning Commission, would include a bar, outdoor dining, retail space, a drive-thru and ax throwing. EAGAN, MN -- If you’ve heard it once, you’ve heard it a million times: That movie would have been great -- if only we’d been able to get drunk and throw axes during it. Eagan’s Advisory Planning Commission will consider a proposal at its April 23 meeting to renovate the city’s 22-year-old movie theater on Cliff Road to include alcohol service and 12 ax-throwing lanes, an indoor venue where patrons would be able to hurl axes into wooden boards for entertainment. The proposal would include three new buildings on the 10-acre site at the 2055 Cliff Road site, which currently holds one building with 16 movie screens and a large parking lot. The proposal would reduce the current number of movie seats from 3,204 to 1,170 and, in addition to a bar and ax-throwing lanes, would include outdoor patio dining, retail shops and a drive-thru. The alternative exit to Cliff Road, Park Center Drive, would be eliminated, according to a city report. If approved by the Advisory Planning Commission on April 23, the proposal will head to the Eagan City Council for final approval. EAGAN, MN – If you were thinking about working off that Easter candy with a run on the treadmill at the community center, you'll need a new plan. The Eagan Community Center will be closed to the public this week, from Monday, April 22 to Sunday, April 28. Meeting rooms, exercise facilities and parks department offices at the taxpayer-financed building will not be available this week. The city attributed the closing to annual cleaning. The city is referring those who want to sign up for city activities or buy passes for Cascade Bay, the city’s water park, to the website www.discovereagan.com. 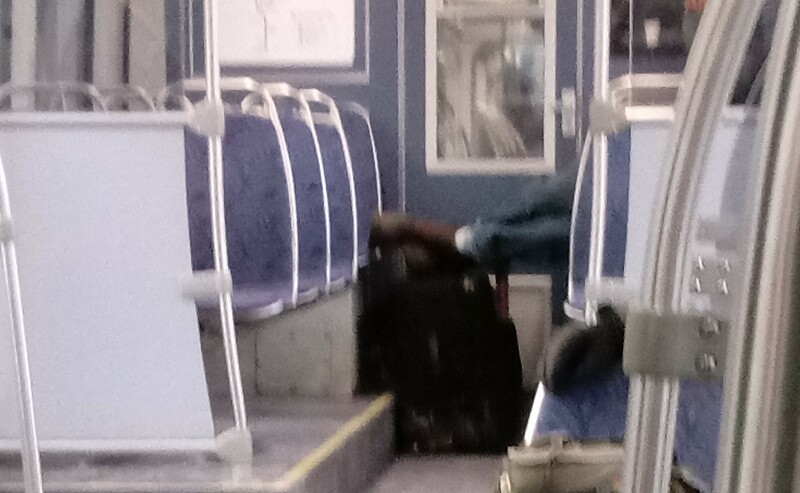 A man slept on the seats of a nearly empty Metro Transit train to Minneapolis during a recent commute from Eagan. EAGAN, MN – During a brief 15-minute meeting, the Eagan City Council adopted a proclamation recognizing Thursday, April 25, as “National Get On Board Day,” a promotional event to encourage the use of public transportation. “This proclamation will help illustrate the City’s support for public transportation as a vital local government service delivery in the City of Eagan, provided by the Minnesota Valley Transit Authority,” a city memo supplementing the city council’s consent agenda read. “That day is intended to encourage people to use public transportation and other forms of transportation to try to reduce the number of vehicles that are on the roads,” Hansen said. At a previous meeting, Hansen objected to a local business’s proposal to use 9-foot, rather than 10-foot wide, parking spaces at its site, saying they weren’t wide enough to accommodate opening the doors of the large truck he drove. As another item on its consent agenda, a list of items approved summarily without separate discussion or votes, the Eagan City Council approved legal findings of fact for its denial of a local hotel’s request to build 200 park-and-fly spaces to allow visitors to park their cars and take a shuttle to the airport. In other business at the April 16 council meeting, the city council approved a variance to Duckwood Drive’s required 40-foot building setback to facilitate the construction of an oral surgery center at 3540 Federal Drive. 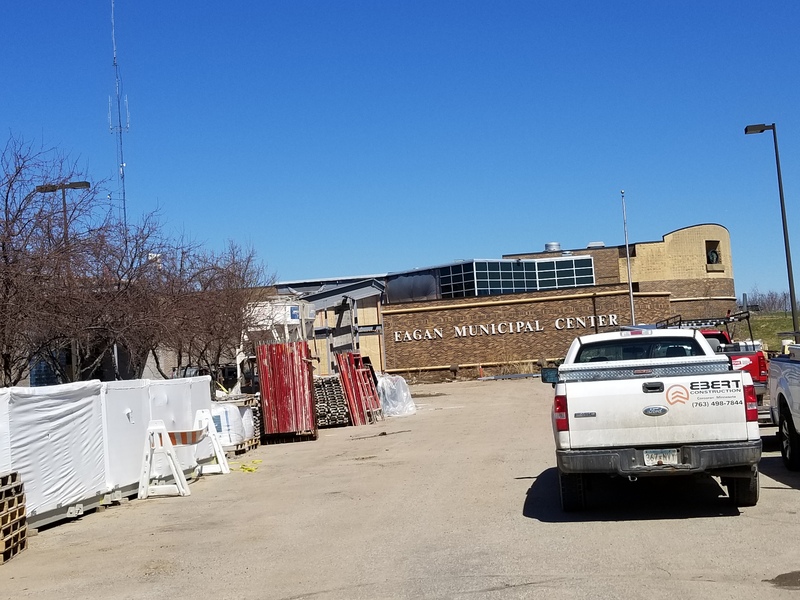 EAGAN, MN, April 20, 2019 -- A new sign has been posted at the access road to city hall as part of the $16 million city hall and police department renovation. The area remains under heavy construction and will likely be largely unaccessible until 2020. A Brooklyn Center man has been charged with possession of methamphetamine at the Dakota County jail. Pedro Flores, 52, of 4419 Winchester Lane, Brooklyn Center, has been summonsed to appear in Dakota County District Court on June 3 on a charge of fifth-degree possession of a controlled substance, a felony, according to a Dakota County criminal complaint. A Dakota County sheriff’s deputy reported finding .76 grams of suspected methamphetamine and a glass pipe during a search incident to Flores’s arrest on a warrant at the jail shortly after 5 a.m. Feb. 9.